Long noncoding RNAs (lncRNAs) had been defined as a novel class of functional RNAs longer than 200 nucleotides around a decade ago. 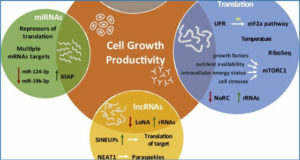 It is widely acknowledged that lncRNAs play a significant role in regulation of gene expression, but the biological and molecular mechanisms are diverse and complex, and remain to be determined. 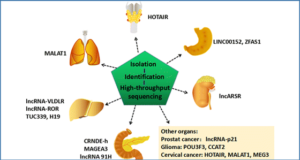 Especially, the regulatory network of lncRNAs associated with other biological molecules is still a controversial matter, thus becoming a new frontier of the studies on transcriptome. Recent advance in high-throughput sequencing technologies and bioinformatics approaches may be an accelerator to lift the mysterious veil. 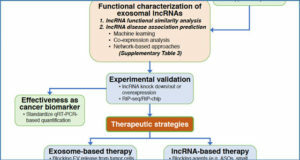 Here, researchers from Ningbo University outline well-known associations between lncRNAs and other biological molecules, demonstrate the diverse bioinformatics approaches applied in prediction and analysis of lncRNA interaction and perform a case study for lncRNA linc00460 to concretely decipher the lncRNA regulatory network. 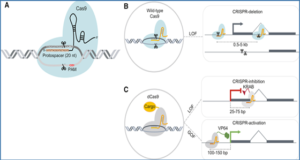 (A) LncRNA may be the host gene and give rise to miRNA. 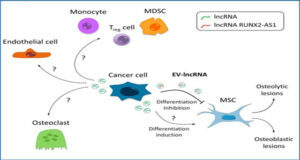 (B) The degradation of lncRNA is implemented by miRNAs. 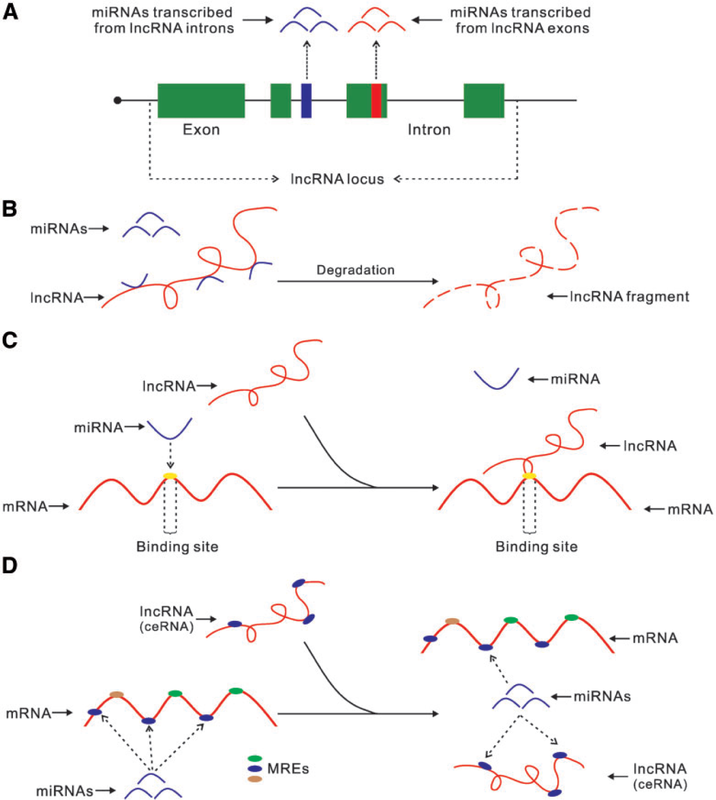 (C) LncRNA competes with miRNA for binding to target mRNA. 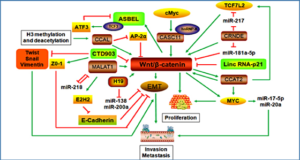 (D) LncRNA can act as ceRNA to decoy and sequester the miRNAs from target mRNA.